When I mention places and things that hold special meaning to me, I’ll use this page to catalog them here, in the event you want to learn more. My running list can be found here. They are in no particular order. I just keep adding at the top. I have been listening to this for so many years, it first became a favorite on rides to and from Chicago and Springfield. I met Ira Glass at a friend’s after party at the Long Room about 12 years ago. Someday, I’ll add my favorite episodes. I wrote about one of them here. I have to thank MB for this. She suggested it in response to a blog post last year. If you ever take the time to think about life, our purpose, and more, then you’ll enjoy this program, hosted by Krista Tippett, who also makes it a practice to release the unedited interview, too. There’s nothing better on the air. Longtime fan, even though they are changing programming to be more male-centric, I haven’t been deterred. Lin and Mary in the morning, Jason Thomas at dinner, and the whole crew throughout the day and night. A yelp review brought be to Essencia, the people I met there made me stay. I once articulated my thoughts here. Essencia Facebook post: The Fall Equinox Crew: Well done everyone for the diligent work of cleansing and harvesting in the fertile soil of our beings. Out of the abundance of love we experience within the Essencia Yoga community, we invite many more to join in with the intention of multiplying this gift that we share. Photo by Jennifer Guitian. This is my favorite place in Glen Ellyn, followed by Shannon’s Pub down the street. I always feel welcome here. If I work for you or like you, you should expect me to take you here or bring you pastries. from Blackberry. The Chicken salad, the soups, the breakfast, the teas, chocolate chip cookies, blueberry muffins, and brownies all rank super duper high. In the summer of 2017, I started regularly visiting Shannon’s and always requested a table for one, hence the inspiration for my blog. Fish and Chips is my staple. The corned beef is great. The beer selection has a nice variety of craft breweries. Gather and Collect is the best store ever. New and Old. Funky and fun. I find the best gifts here. This cup is one of my favorites. I am currently taking classes here, I go to the weekend shows, and I’ve made some great friends. Give yourself permission to laugh and spend so little money for an incredibly rich evening. Both Cook and DuPage have done a great job setting aside green spaces like these. 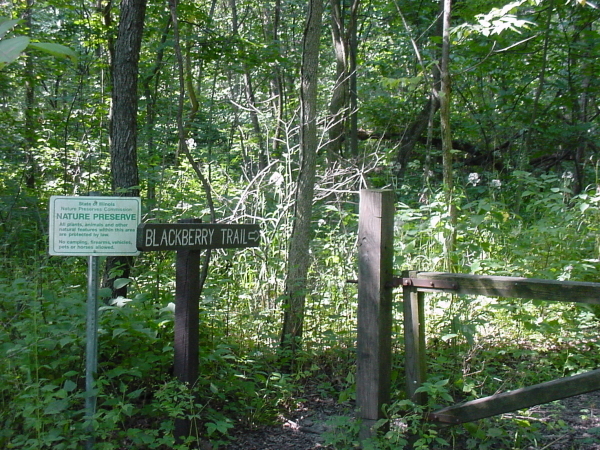 We spent a lot of time in and around the Palos and Willow Springs preserves when we lived in Cook County. Today, we live near so many great spaces, but Herrick and Hidden lakes are two of my favorites. In the winter we stake out one of the shelters and bring hot dogs, marshmallows, graham crackers, and hot chocolate, and gather up a dozen or more kids, and nearly an equal number of dogs, for winter picnics and snowball fights. The 887-acre Herrick Lake Forest Preserve is one of DuPage Forest Preserve District’s most popular preserves. I love it in every season. Photo and text from DuPage Forest Preserve website. The 390-acre Hidden Lake Forest Preserve in Downers Grove is an ideal place to fish, paddle, picnic, or just relax. It features two lakes and a river, trails, fishing, boating, and picnic areas, including a new picnic shelter. Photo and text from DuPage Forest Preserve website. Best value in town, hands down. Great movies, old seats, and cheap tickets, enough said. Probably saw eight pictures there in 2017. Great food, great atmosphere, one of my go-to places. Beet Farro Salad (love). Picture from Gia Mia website. Driving south down the Oregon Coast we stopped at the Bandon, Oregon. I could have stayed a week. The coast was like nothing I have ever seen. We stayed at the Bandon Beach motel. It’s modest and affordable motel sits atop a cliff that with a short walk down the stairs lands you on a beach that appears to be from another planet. This blog will help you appreciate its beauty. This is a picture I took in college when I learned how to process and print color film. My sister Annmarie gave me this book as a Christmas present in 2016. It became part of my morning routine in 2017. There are lots of reasons to go, but the number one reason is it’s free to Illinois residents on Thursday nights. I love the energy and flying solo through the galleries. And if you use the spot hero app, you can get discounted parking in the Maggie Daley parking garage. Here are some pics from my recent visit. I have attended in 2016 and 2017, primarily concentrating on the West Loop, Loop, and Southside. You definitely have to divide and conquer. I usually spend Saturday with Bridget and then Sunday with another adult. It’s a real treat to step inside places, even people’s homes, that you’d never have the chance to see otherwise. We’ve seen some great productions here, including Sweeney Todd, Mary Poppins, and Tommy. It’s affordable, and the shows are amazing. I rely on Chris Jones from the Chicago Tribune for guidance. I fell in love with this park, situated adjacent to the Sangamon River. It was a staple. We made a special trip there in 2015 to spread our beloved Sadie dog’s ashes there.